Call 02380 080681 now. Lines are open 24 hours a day, 7 days a week. Call our asbestos solicitors for Southampton today for a no obligation discussion about a compensation claim. Our solicitors are perfectly placed to offer swift and effective legal representation, plus sympathetic support for those who have been affected by asbestos poisoning and would like to claim for compensation. If you have suffered directly, or perhaps someone in your family has become ill with disease or cancer including mesothelioma then call us today. Our asbestos solicitors all work on no win no fee* and when you call it’s possible to have a no-obligation free discussion about your case with one of our friendly and sympathetic representatives. Have you been a victim of asbestos exposure? Whilst the legislation and legality around the use of asbestos has radically changed over the last few decades, we are still hearing from people and workers who were affected by asbestos exposure early in their career and would like to seek compensation for their illness. If this relates to you or someone in your family then we make the process very easy, and have specialist asbestos solicitors for Southampton clients who are ready and waiting to discuss your case now in confidence. You just need to call our number now to get started with an asbestos claim in Southampton or Hampshire. It’s possible to now claim for large amounts of compensation due to asbestos related diseases and cancers. Due to Southampton’s history as a port and centre of industry, there are many cases where workers have successfully sued for asbestos compensation with the help of a local personal injury solicitor and lawyer. It’s possible to make a Southampton asbestos compensation claim if you worked in an environment where asbestos fibres were present. It might be that you didn’t even work closely to the dust, but perhaps you were affected by a family member who own clothes had been exposed. In most cases though, we do find that those able to seek compensation payouts are people that worked in factories and heavy industry workplaces. Even if your old place of work no longer exists, and the old employer is no longer in business, then it’s still possible to claim for compensation in Southampton. This is because our solicitors will track down old insurance policies and documents and make a claim through that route. In most of the cases that we help with, asbestos compensation will be claimed through what is known as the Pneumoconiosis (Workman’s Compensation) Act of 1979. It’s also possible to claim for personal injury if you have minor affects. Not all forms of asbestos poisoning have led to cancers, although we are able to recover larger compensation amounts for the more serious cases. If you are amongst the many people in the UK who were exposed to this type of working environment up until the 1970s then you could be eligible to claim for asbestos compensation in Southampton and Hampshire so please contact us today. 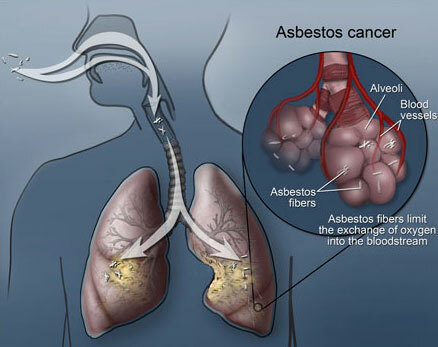 Why Use Our Southampton Asbestos Solicitors? With a friendly and understanding approach, not to mention a specialist knowledge of the personal injury industry, our asbestos solicitors for Southampton workers and residents are perfectly placed to help you claim for the best outcome possible. As soon as you call us the wheels will be set in motion to ensure that you or your family member receive the best possible care and attention as possible. Our solicitors and lawyers will look to recover multiple aspects of compensation for not just the injuries but also any expenses or emotional pain and suffering caused by your illness. What Are The Time Limits on Asbestos Compensation Claims? You must make a claim for personal injury relating to asbestos compensation within three years of being diagnosed with mesothelioma. If you are within this time limit then get in touch with us now so that we can quickly proceed with your case. We are specialists when it comes to the subject of asbestos claims Southampton. If you are unsure about whether or not you have been affected then you should consult a doctor immediately. Here is some guidance to the disease from one of the UK’s leading cancer charities.